Sustained color, garnet. Fine nose, spicy smoked on stone fruit background. 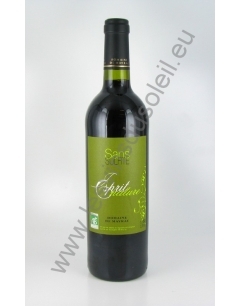 Balanced palate, which seduces with its flexibility, softness, freshness while developing typed intense flavors. Spicy finish. A southern character said. Yellow, light color. 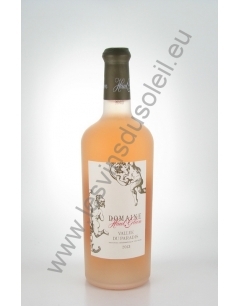 Aromatic, lively, light aromas of boxwood, blackcurrant bud subtle aromas, light exotic fruit flavors, subtle aromas of grapefruit, subtle flinty aromas. Fresh, intense, blackcurrant bud notes, subtle notes of citrus, light notes of exotic fruits, flinty notes, very mineral, long persistence. A bright garnet red to deep red. A nose of ripe red fruit, jam around a hint of liquorice, with a touch of sweet spices. A round attack and well balanced, the tannins still young and so some roasted notes on the finish. Beautiful purple and crystal dress. Nose: dominated by intense aromas of strawberry, red currant, anise and bergamot. Taste: fresh and tangy. 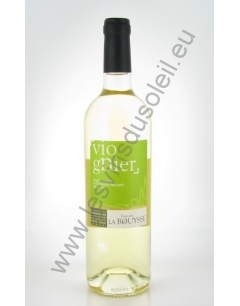 Brings to the new generation of white wines balance, built on the freshness and vivacity. The nose is expressive, impulsive, exotic (pineapple and lime), very toned mouth, with a good length on white fruit (pear) and balsamic notes (lemon thyme). A festival of tasty notes! 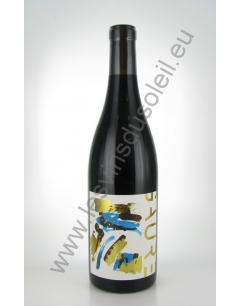 A deep red with black reflections Nose: concentrated, opening with notes of coffee, cocoa, black cherry and plum of Ente very ripe, dark berries (blackberry, blackcurrant) and tapenade . Palate: full, liquorice, supported by young tannins soft, very long. Brilliant, supported by beautiful green reflections. 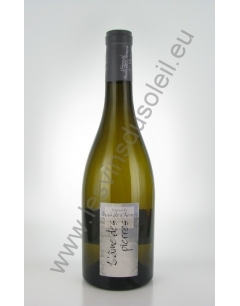 Nose: expressive, focused on peach and apricot Roussillon, linden. Mouth: on beautiful aromas of toasted bread, with a wide attack and a very long finish. 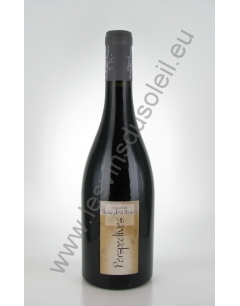 Wine of pleasure, fond and fruity, full-bodied but with garrigue aromas, spices, currants and prunes. Well balanced with round and soft tannins, Final beautifully aromatic. Bright ruby red color. 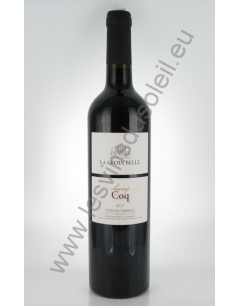 On the nose, aromatic intensity, very high concentration of red fruit (blackcurrant, raspberry, blackberry ...). 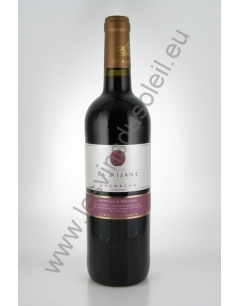 The palate is rich, round, concentrated, with silky tannins with powerful notes of blackberry, blackcurrant, raspberry, blueberry and extending over a long finish. Yellow-green color with bright reflections. Very aromatic nose, high intensity. Hint of vanilla on the nose and ripe fruit (banana, exotic fruits ...). The mouth is full, well-structured, points to the aromatic nose level with a subtle blend of vanilla and fruit. Purple, deep and brilliant. 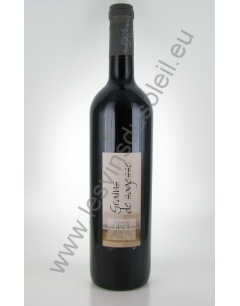 Complex nose with aromas of black fruit, coffee, mocha and raised by spices (black pepper). Rich and velvety mouth, modern wine with smoky notes. Notes of exotic fruits, mango, white peach, slightly citrus (grapefruit). toasted almonds mouth. Attack vivacious blend freshness and length. Golden yellow color with bright reflections. Nose with a lovely aromatic complexity with candied lemon notes. Ripe and fleshy wine whose aftertaste is long and spicy. Sustained ruby red with purple hues. Complex nose of black fruits, cassis, cocoa and spices. Fleshy and full mouth with garrigue (tapenade). Good balance on the palate, full and harmonious freshness and length on the fruit. Deep red color with ruby highlights. Rich and roasted nose. Roasted pepper notes, ripe fruit and berries. 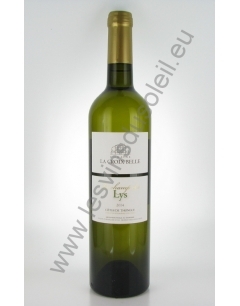 Wine of character, structured, classic, offering superb freshness (menthol), power and pleasant on the palate. Long and coated mouth. Very expressive nose with dominant red fruit (blackberries) and sweet spices. Very expressive mouth finesse and freshness. Spicy finish. Garnet color of moderate intensity. Peony, raspberry chocolate milk and black cherry mingle harmoniously to this coated complex and deep wine. The slightly peppery finish and toasted brings the freshness necessary for the delicate balance of this wine. Original vintage of the field, dark color with garnet reflections. The nose is dominated by eucalyptus and floral (honeysuckle) rather characteristic Carignan grapes. The palate is soft with a nice fresh fruit. Voltage for this sweet wine in the end. Long beneficial ventilation. 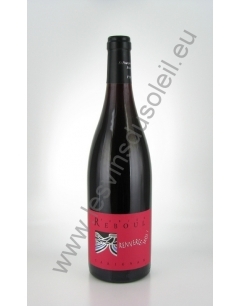 Colour: Red ruby Nose: blueberry and licorice Taste: Freshness and finesse. Lichtgeel met gouden reflecties. Neus aroma's van witte perziken en amandelen. Rijke en gulzige mond. 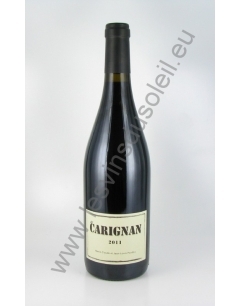 Carignan brings finesse and freshness, Grenache his black fruit aromas (blackcurrant, blackberry). Syrah and Mourvèdre enhance aromatic complexity and finesse of the tannins. Intense nose with aromas of licorice, violet and red fruit. 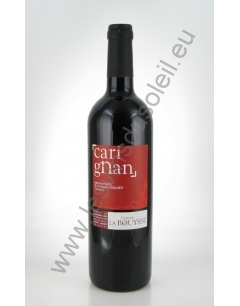 The silky tannins give flexibility and mouthfeel. Mouth with ripe aromas of crushed raspberry and violet. Intense nose and mouth is full. 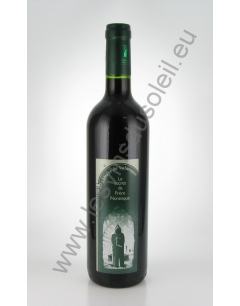 The woodland is melted aromas of red fruits, pepper, menthol. Balanced and silky tannins. Spicy and minty nose. Full mouth and structured with fine tannins. In the mouth we find aromas of menthol and gooseberry. 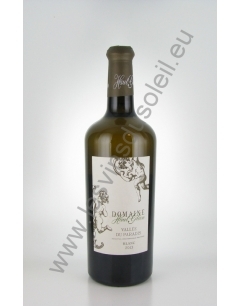 Lightness and freshness are the key words to define this wine to pale gold with green highlights marked. 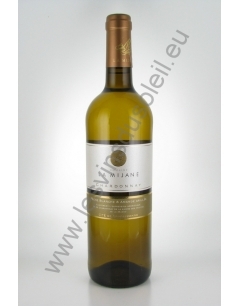 The nose is dominated by the freshness of muscat grain, combined with citrus notes with a slight minty. 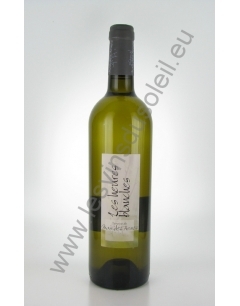 On the palate the wine is full, fat with a good roundness. A pale pink color, bright. 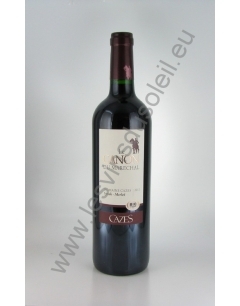 The intense nose is characterized by notes of fresh red fruit and boiled sweets. The palate is lively and the final is persistent. Red dress franc, with spicy notes and ripe red fruits. On the palate, roundness and melted tannins dominate the balance. From a deep red to pink hues, this wine has a discreet nose of red fruits, a well-balanced palate, good acidity and smoky notes on the finish. Laurent Vidal succeeds perfectly this vintage 100% carignan. Appearance: Pale gold. Nose: fruity and complex nose of citrus and white fruit, with a touch of sweet spices. 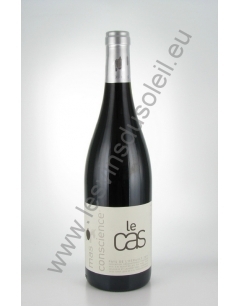 Mouth: a very nice balance of smoothness, freshness and fruitiness, a large and persistent finish. 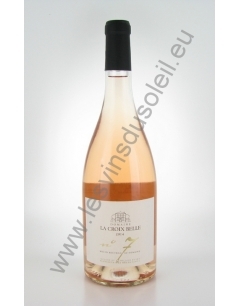 Generous tasting grapefruit aromas, white peach and citrus on the finish characterize this elegant wine and crisp. The color is golden dark, dense. On the nose, notes are slightly Muscat, one feels roasted exotic fruits and bitter almonds. Mouth, in harmony with the aromas perceived to the nose, ends with a final evoking acacia with slightly minty. 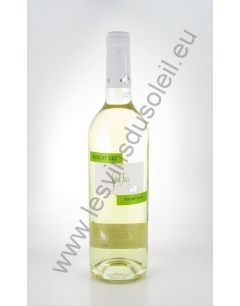 Fine nose of citrus, lemongrass, white flowers and a hint of vanilla. 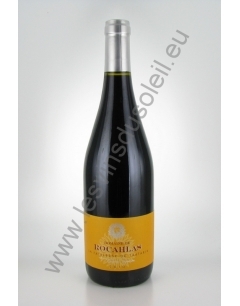 Round mouth, voluminous and fruity, refreshing long finish. Nice balance. 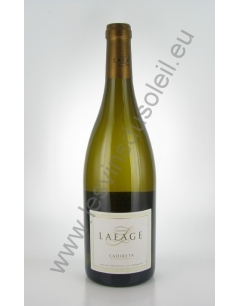 An atypical viognier with its freshness and minerality that perfectly balance of summer fruits (peach, apricot). 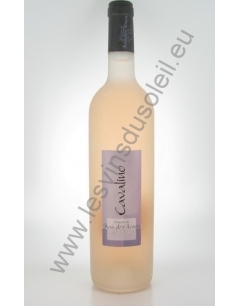 Excellent as an aperitif or on those hot appetizers and fish. 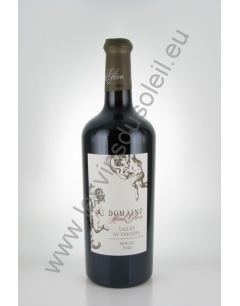 Both terroir wine which gives mineral and cherry flavors like fruit or blackberries and tannins on the finish but very thin and thirsty wine for its friendly side, fresh and round in attack. It is an elegant fine white which will be pleasant companion of a fish. 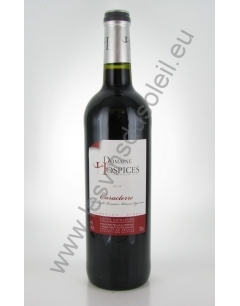 The bouquet is rich in floral aromas and spices. 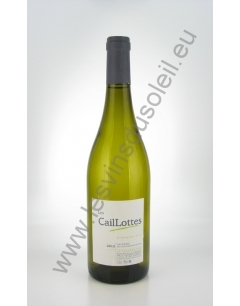 Round mouth, gently mixed with white fruits, ends on a mineral note. Intense dress with ruby highlights. The very flattering nose enhances black fruit (blackberry, blackcurrant, blueberry) ripe. The toast of the barrel brings grilled and intoxicating scents. The palate offers the same feeling of comfort and maturity worn by caressing tannins and roundness offering irresistible palace. The end of greedy mouth persists length. Sustained color, old gold with amber highlights. 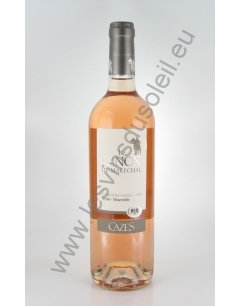 Powerful, complex nose, candied orange flavors, dried fruits (nuts) and quince jelly. 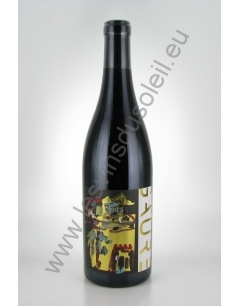 Rich, vivid and intense on the palate, candied fruit aromas and spices (coriander and nutmeg). Great persistence final candied citrus. Engaging golden color, with silver highlights. The rich and flattering on the nose is fresh pear. The toast of the barrel brings complexity with grilled and intoxicating scents. The palate offers a lot of fullness and roundness while being precise and clear. The end of greedy mouth persists length. Message from the winemaker Fabien Reboul: This is the wine I had wanted to do for a few years. I was missing a wine every day, a summer wine ... Grape juice, grape juice that! Freshness, flexibility, served on or under the table. Ideal for summer evenings with friends with grilled red meats. 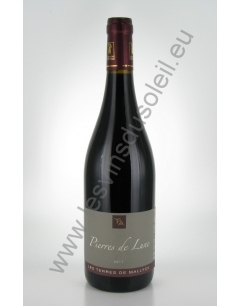 Dress brilliant dark red; Nose of pepper and black fruits. Greedy mouth with jammy red fruit flavors all curvy and smooth with notes caramelized aftertaste. A fruity and balanced wine. Lingering aroma. Dry white, delicate and fruity. Dress delicate pale gold. Fresh nose, floral and slightly aromatic, butter, ice fishing. Many finesse choosy, elegance and lightness. White mineral dry, fine and fruity. Dress delicate pale gold. Nose fresh, floral (white flower) and aromatic, butter, ice fishing, fennel. 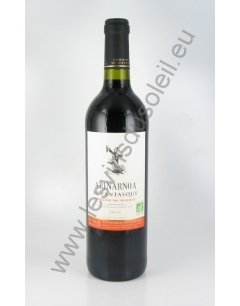 Fine, elegant palate which is added a mineral note and white pepper on the finish. 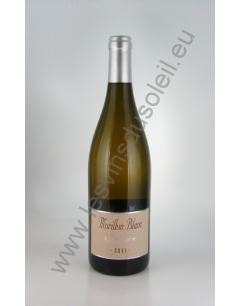 Morillon white is the original name of chardonnay. It will be more old, more the expression of roasted grapes by botrytis will be present, raisin, caramel, quince paste, orange peels and the color of the wine is brilliant to work towards saffron. This wine has a ruby red color that reflects its freshness. 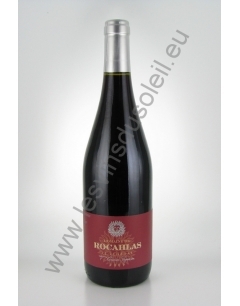 The red fruit aromas are marked and the result of the wealth of the assembly of its four varieties. The palate is soft, with a very good balance and fine tannins. A dress with a beautiful intensity. On the nose, black fruits are brightened spicy notes. Ample and spicy palate, good length. 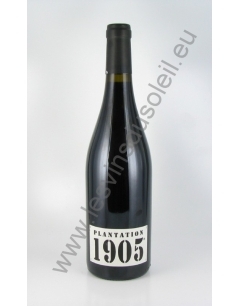 Plantation 1905 from a single vineyard planted 23 old varieties of Languedoc. The vast majority was planted in 1905. Tasting this is confusing as the flavors are unique for a red wine. 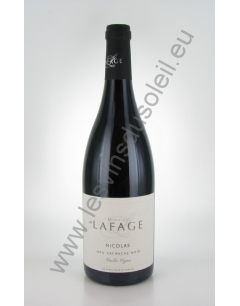 The nose is floral embellished with a soft red berries. The mouth is marked by a sharp attack that ends with a tannic structure. Deep wine color, pretty bright with purple hues. Mouth: Attack red fruits, with hints of crushed strawberries. Beautiful greedy mouth and a lot of freshness and fruit.